It looks like a tiny piece of art! The year 2017 was dominated by adorable tiny tattoos and dreamy watercolor body ink. 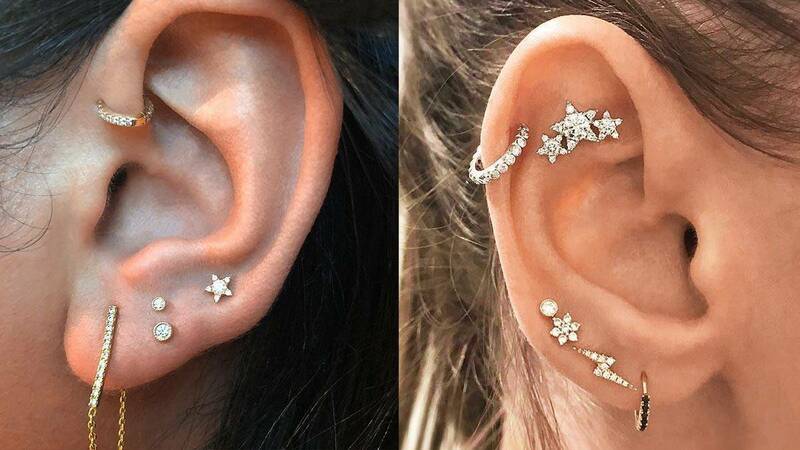 This 2018, we're calling it the year of ~*curated cluster ear piercings*~. According to Bustle, the trend "is basically a cooler version of getting a second or third hole in your lobe." The look became popular in 2017 and is showing no signs of "dying down" because "people will continue to find creative ways to pack even more hoops and studs into their ears." But the piercings aren't just limited to your lobes. You can get them in other parts of your ear, too, like your rook, tragus, helix, and daith. They have a large selection of tiny earrings that can be used for your piercings. If you're in the Maginhawa area in QC, this is one of the best places to get pierced! Rest assured, your ears will be pierced by some of the best artists in the Philippines. After getting your ears pierced, why not enjoy a cup of their ~fresh~ coffee?